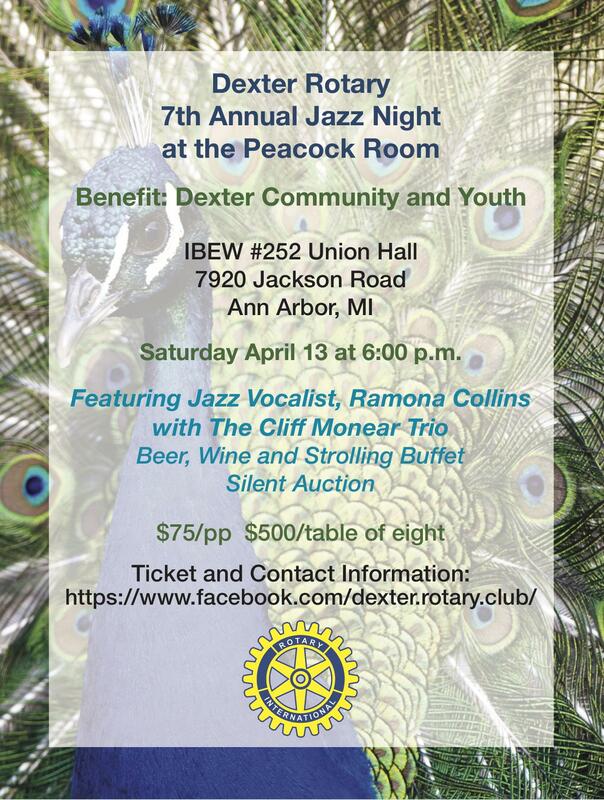 The Rotary Club of Dexter is proud to welcome Ramona Collins and the Cliff Monear Trio for an evening of great food, drink and entertainment at our 7th annual Jazz Night at the Peacock Room Fundraiser on Saturday April 13 at 6:00 p.m. 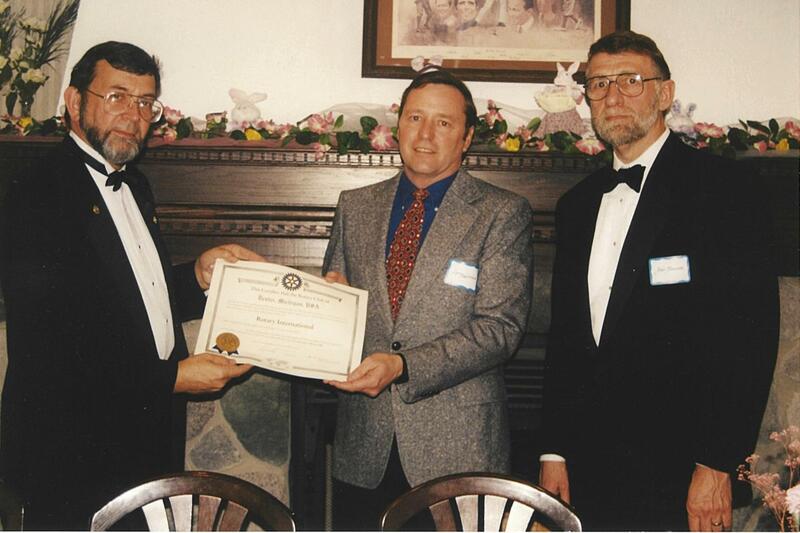 Please join the Rotary Club of Dexter for a celebration of our 20th Anniversary and President's Dinner on Friday, June 22, from 6:00 to 8:30pm at the Portage Yacht Club. $25 per person includes dinner and soft drinks. Cash bar available throughout the evening. What activities do Rotarians participate in ..... every Year? What activities do Dexter Rotarians participate in ..... every Year? That is a very interesting question - one that Dexter Rotarians really didn't have a good answer for - until we stopped to think about it. Exchange Students (inbound and outbound) - Dexter Rotary hosted a student from France last year and we will host another student from Germany next school year. In addition, we have one of our own Dexter students headed to France next school year. Ronald McDonald House – at the U of M hospital there are many families who stay at the Ronald McDonald House while their children undergo critical treatment. Dexter Rotary provides meals for the families several times a year. Dexter High School after school support – Library/Media Center - in order to provide a place for students to study and get help with homework, Dexter Rotary provides people to keep the Library open after school. Porta’ Johns for Dexter Village event - yes, we even help the Village by providing necessary facilities. Wow, that's a lot of activity. But, our motto says it all - "Service above Self". Dexter Rotarians love to help their community. Come to one of our breakfasts - Thursday mornings at Terry B's - 7:30am - to learn about how you might help the community too. Plus, you'll meet a bunch of fun people who happen to love their community. Nearly three years ago, Rotary Club member Gloria Leininger proposed a weekly fresh produce program to Dexter Faith in Action, in order to promote healthier living during the “off garden” months. Gloria knew that fresh produce can get expensive during these months, making produce less available to our neighbors in need. “This is just one more way we can advocate for our local community to promote healthy eating.” –says Gloria. 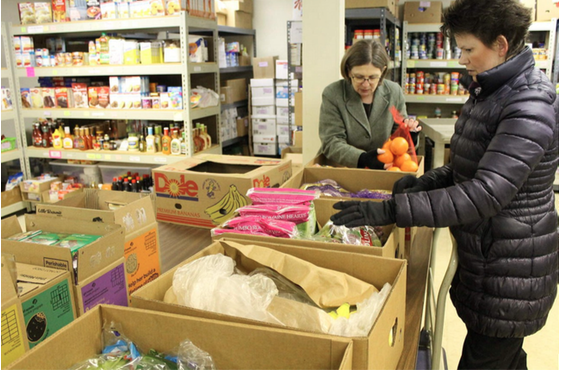 The Club has heartily supported this program with four – five Rotarians weekly delivering $75.00-$90.00 of various produces items to the FIA pantry. The Dexter Country Market has been gracious and very helpful in selling the Rotary club various produce items that are on sale weekly, ensuring economical buys and a nice rotation of fresh produce be delivered. 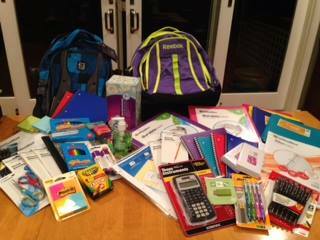 Dexter Rotary Club and Faith in Action partner for local youth for Back-to-School Backpacks. To ensure that all students begin the new school year with the supplies they need, the Dexter Rotary Club purchased 4 backpacks for local students in need and filled them with essential supplies such as paper, binders, highlighters, and calculators. This has been a long-standing project of the club. Students are identified by area churches, Dexter Community Schools, and local nonprofit organizations and their names shared with Faith in Action. In turn, Nancy Paul with Faith in Action reached out to local organizations for help to provide these students with backpacks and school supplies. 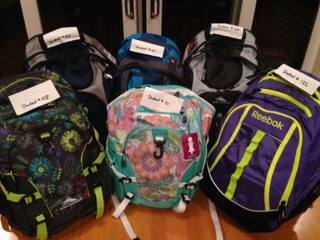 Dexter Rotary Club members stepped up to provide backpacks for 4 students and will continue this program for years to come! **To learn more about Faith in Action, visit www.faithinaction1.org. Actually we've been on Facebook for awhile but now we have a campaign going to increase the number of people who "Like" us. For those of you not familiar with the Facebook jargon, "Liking" a page is something you do so you will see posts and events from that page in your own personal newsfeed. Just a short time ago, maybe in June 2012, we only had 11 people who "Liked" us. That was a sad situation. But, after a concerted effort to get more people to visit our Facebook page, we are now up to 40. And, once we get all our Dexter Rotary Club members who are also Facebook members to "Like" our Facebook page, we could have millions (well, it doesn't hurt to dream). So, join us on Facebook (Dexter Rotary Facebook Page) - and "LIKE" us while you're at it.